The Center for Career Development is hosting the Career Expo on Thursday, April 4 from 11:00am-2:00pm in the Byron. There will be 120 employers/grad schools/long-term service organizations there. We encourage all years and all majors to attend. Attached below is a list of employers specific to CAS majors. The US Department of Agriculture has announced the following opportunity for a paid summer job in Northeastern Pennsylvania to help them address an ongoing outbreak of the Spotted Lanternfly, an invasive species threatening grapes, fruit orchards and hardwood trees. This semester’s seminar series is underway! The first speaker, Tim Sweeney, talked about his experience working in medical technology as the Northeast Head of Health Economics and Reimbursement at LivaNova PLC. The remaining speakers of the semester are ecologists whose integrative work ranges from physiology to modeling and evolution. This past summer, the Biology Department gained a new member – A Snake! To be exact, the snake is a Timber Rattlesnake, and it is the center of Dr. Chris Howey’s research here in the Biology Department. Much of Dr. Howey’s research focuses on understanding the ecology of reptiles, how changes in the environment affect these reptiles, and how we can conserve and manage these reptilian populations. 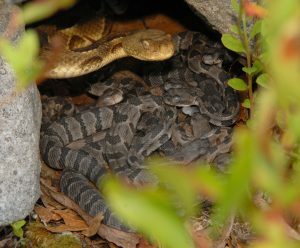 Maintaining healthy populations of Timber Rattlesnakes within our woods actually provides many benefits for other members of those ecosystems, as well as humans that come to visit those ecosystems! However, many folks are scared of snakes. Dr. Howey believes that much of this frightfulness stems from a lack of knowledge about snakes. The more we know about Timber Rattlesnakes, perhaps we will be less scared of these animals. Therefore, in addition to conducting research on rattlesnakes, Dr. Howey also conducts outreach with rattlesnakes – teaching people more about these animals, more about their ecology, behaviors, their history, how our Nations History intertwines with this animal, and how we can safely interact with these animals on the landscape. The Timber Rattlesnake’s scientific name is Crotalus horridus and it is one of 3 venomous snakes found within Pennsylvania. The other venomous snakes are Copperheads and Pygmy Rattlesnakes. 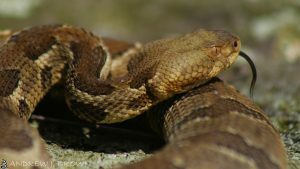 The venom produced by a rattlesnake is primarily used as a digestive enzyme – the more the food item is broken down into smaller pieces, the easier it is to absorb those nutrients. The diet of the Timber Rattlesnake typically consists of mice, voles, shrews, and chipmunks. Larger rattlesnakes may eat slightly larger prey like rabbits and squirrels, but that would be a very big rattlesnake. The Timber Rattlesnake typically exhibit one of two color patterns – a Black Morph or a Yellow Morph. A Timber Rattlesnake cannot change this trait throughout it’s lifetime – a yellow morph will always be a yellow morph. The Timber Rattlesnake that now resides outside of Dr. Howey’s office (LSC 251) is a female, yellow morph Timber Rattlesnake. Some time in the past 5-8 years, she was illegally captured from the wild by someone who was trying to collect many different reptile species for their own personal collection. 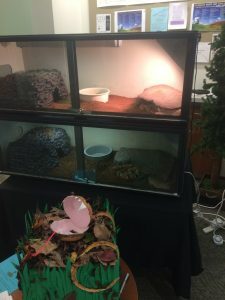 When this collection became known to the Pennsylvania Fish and Boat Commission, the illegally captured reptiles were confiscated. Unfortunately, because we do not know where this individual came from, we cannot release her back into the wild (she would not know how to locate a den to overwinter within and she may not know where to find food within her environment). Therefore, she will live out her life as a steward of her species; helping to educate the public on Timber Rattlesnakes. Hopefully, with the aid of this beautiful animal, we can help change the negative outlook that many people have regarding Timber Rattlesnakes. The Timber Rattlesnake is in the top cage with the light on. She is currently sitting under the rock. The Ballot Box is shown below the cage, and ballots must be inserted into the mouth of the snake!!!! So now that she has taken up residence among the halls of the Loyola Science Center, it is only fitting to provide her with a name! Of course, she will always have the name bestowed on her by Carl Linnaeus in 1758 as Crotalus horridus, but we can provide her with a more updated name as well. So, we need your help in thinking up the perfect name for this beautiful animal! Swing by Loyola Science Center and introduce yourself to the rattlesnake. Then, when you have a good name, write it on a ballot slip and place it in the Deposit Box sitting next to her cage. Everyone is always welcome to come and visit the snake whenever you wish. And similar to zoos and aquariums, please don’t knock on the glass or try to scare the snake, because that is just rude. We want to make sure our new friend is comfortable and at ease the entire time she lives here. 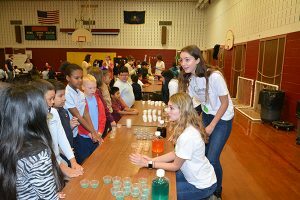 On October 19th, a group of 12 Biology students and two faculty visited a local elementary school (McNichols Plaza) to give a program about the nervous system and their senses to the 4th graders. 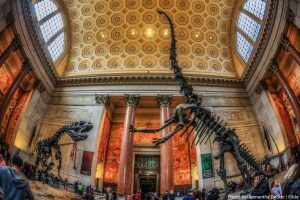 These fantastic hands-on activities get the elementary students excited about the real-life implications of what they learn in the classroom. This event is part of the annual activities of SynAPSE (Synergistic Activity Program for Science Education). In the spring, the same students will take a field trip to the University for a more advanced set of activities introducing them to experimental design and data collection. Any University students interested in volunteering to help should contact Dr. Gomez or Dr. Son. 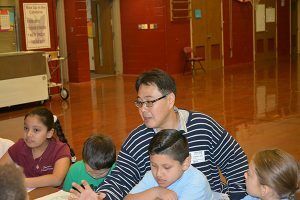 To read more about the programs presented this fall, check out this article.